So I saw this video yesterday on facebook. Unfortunately, this type of thing probably happens more than not. Africa is crazy and you never know when you are going to be tackled by a red hartebeest or perhaps, (like me) chased by an elephant. What’s that saying? Oh yeah, Africa wins again! Enjoy and please share any crazy animal experiences you have had while traveling. Travel well and travel often! ps…the biker was able to finish the race! I know I know, I really need to post more often. I promise to work on that..or at least try to. I would like to blame it (again) on Africa, but since I have been back in Germany for the last week or so, that excuse no longer applies. Anyways, I have so much to tell you! The end of my southern Africa road trip was amazing. I definitely saved the best for last. My return to Germany also came at a perfect time, for I was able to join my friends at the Cannstatter Volksfest (a smaller but equally debaucherous Oktoberfest in Stuttgart). I also just took a quick four-day trip to Barcelona this weekend and have many photos and stories to share. 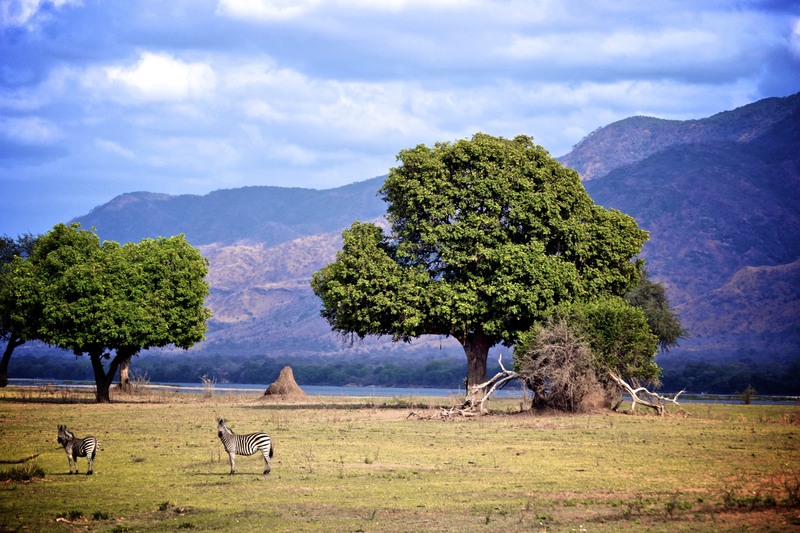 But before I gush about Spain, I have to divulge the well-kept secret of Zimbabwe: Mana Pools National Park. After Lilongwe we traveled to Mana Pools National Park. 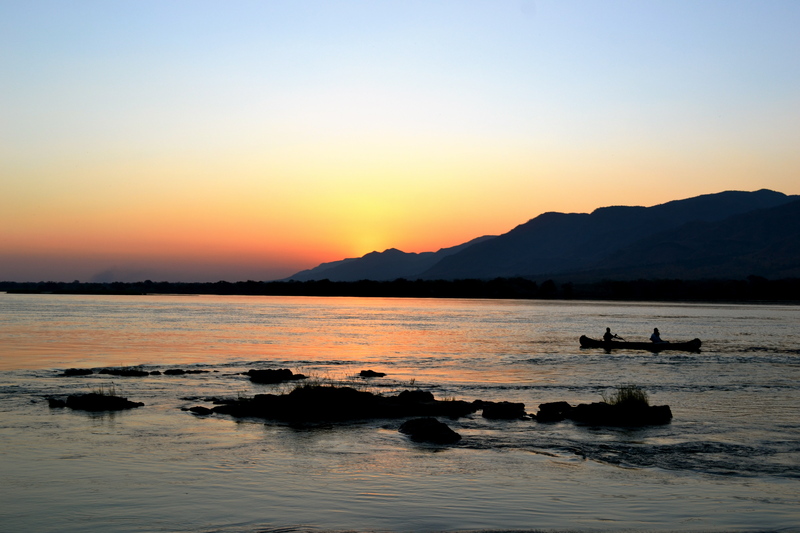 We changed our itinerary a little bit and decided to stay in Mana Pools for four days. This would be the longest amount of time we would spend at one location. When Gert recommended this change I was definitely skeptical. I love game drives, but I wasn’t convinced that I wouldn’t get a little bored after a couple of days. Let’s just say I couldn’t have been more mistaken. 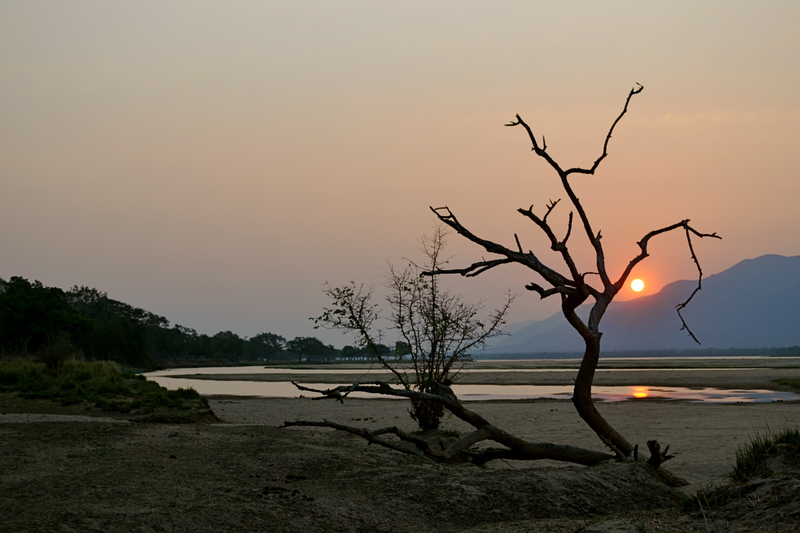 I truly believe that Mana Pools is Africa’s Eden. It is situated in the lower Zambezi River in Zimbabwe where the flood plain turns in to a broad expanse of lakes after each rainy season. Mana means ‘four’ in Shona, in reference to the four large permanent pools. The park itself is massive and encompasses about 2,500 square kilometers of river frontage, islands, sandbanks and pools, flanked by forests of mahogany, wild figs, ebonies and baobabs. 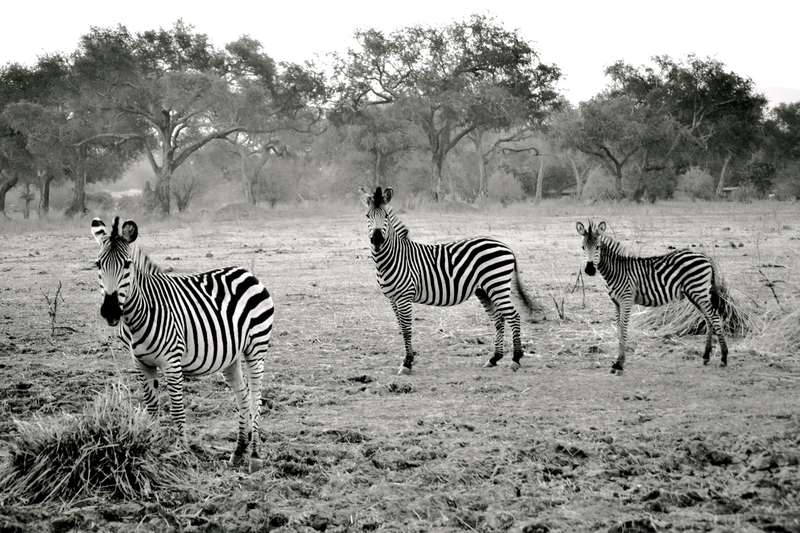 It is considered one of the least developed National Parks in Southern Africa. There are absolutely no fences, leaving nothing between you and the hundreds of buffaloes, elephants, hyenas, and hippos that roam around the entire park. the riverbank. 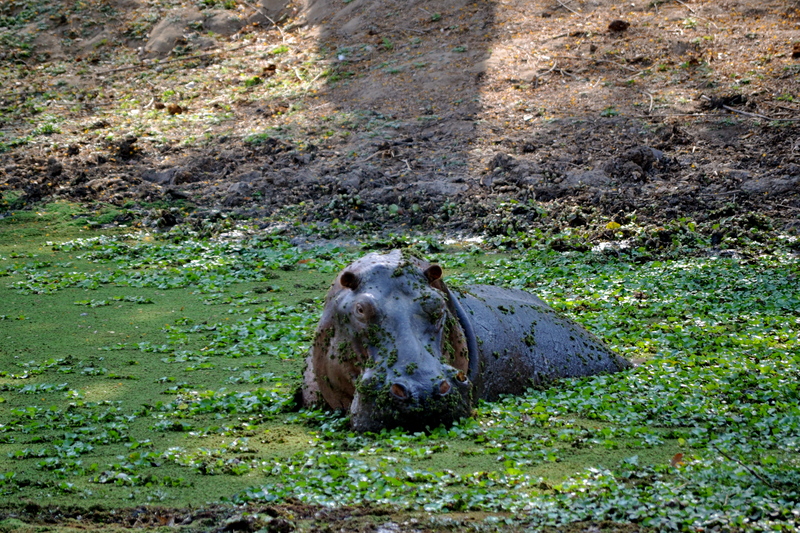 We still had amazing views and as we came to find out, were out of the way of grazing hippos at night. So, in my opinion it is almost better (and safer) not to upgrade. The campsites are basic- bathrooms and shower houses are provided, but there are no lights in the bathrooms so make sure to bring a torch and shower shoes! Additionally, there aren’t any stores so make sure you arrive with everything you need, including food. Every morning a local woman would come buy and offer to wash our dishes and do laundry for only $3 a day! Definitely worth it! 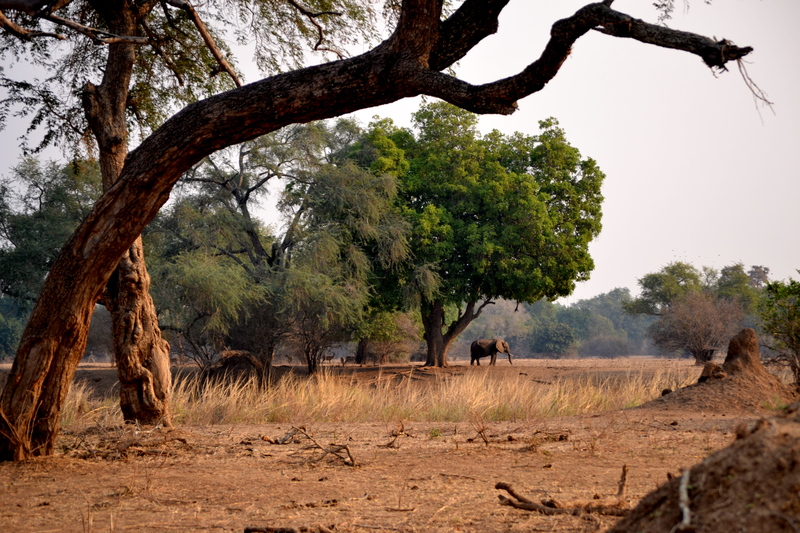 As we were setting up our campsite on the first day we noticed an elephant leisurely stroll by. I couldn’t believe my eyes- this place was definitely the real deal. Little did I know at the time, but that elephant and I would share a very unexpected meeting a few days later…but more about that later on! We also were fortunate to set up camp next to a family of eight Zimbabweans. 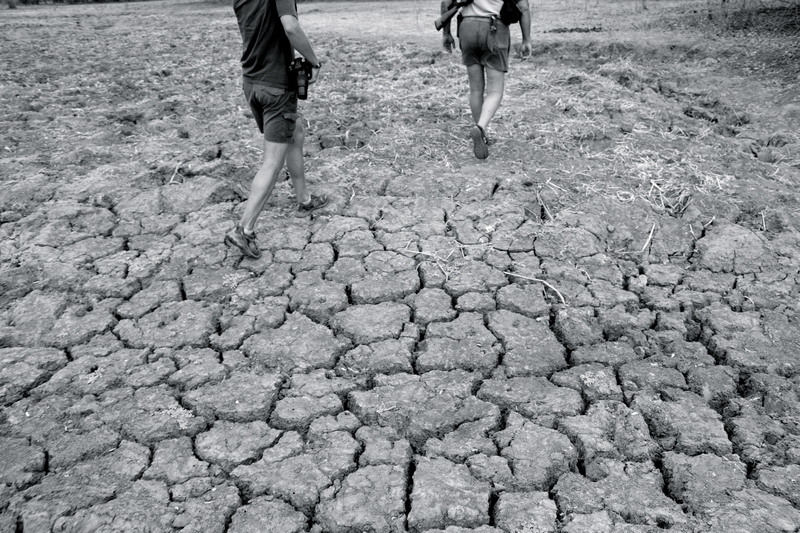 They were all former farmers and had been taking two-week vacations in Mana for years. Their campsite resembled a mini compound, equipped with an electric fence and solar energy panels. At first I thought it was a bit over the top, but later on I learned that all of it was necessary and honed from years of experience. They were wonderful people and shared many stories about their lives in Zimbabwe and the hardships they went through as their farms were literally stolen from them without any help or protection from their government. I have read countless books on Zimbabwe and was very familiar with the plight of the white Zimbabwe farmers a few years ago when the black community decided to take back what they thought was rightfully their land. Many farmers were killed and thousands of them kicked off of their farms without any sort of compensation. However, it is one of those situations that no matter how much you read about, the situation is not palpable until you visit the place and meet the people who actually experienced it. These farmers amazed me with their ability to survive, remain in Zimbabwe, and still have a positive outlook on life. If you are at all interested in learning about the history of Zimbabwe let me know and I will recommend some outstanding books. buffaloes, impala, and many many more animals. 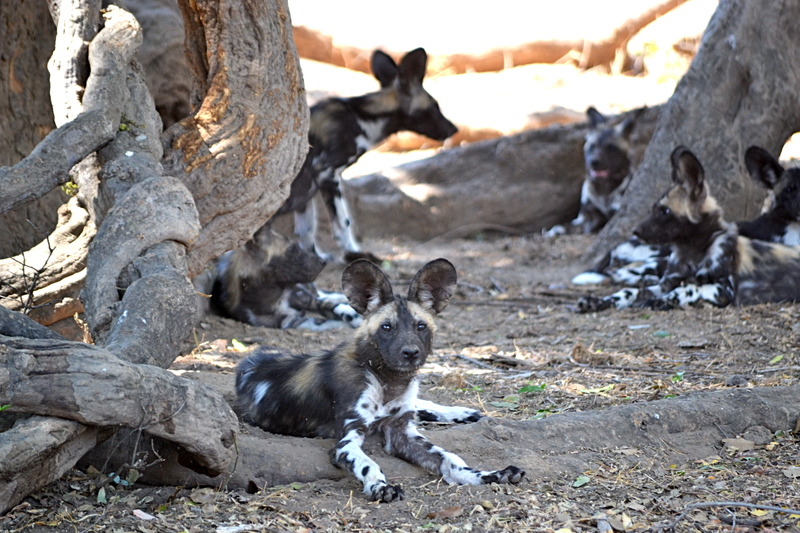 I also saw packs of wild dogs- something I was told was very rare. 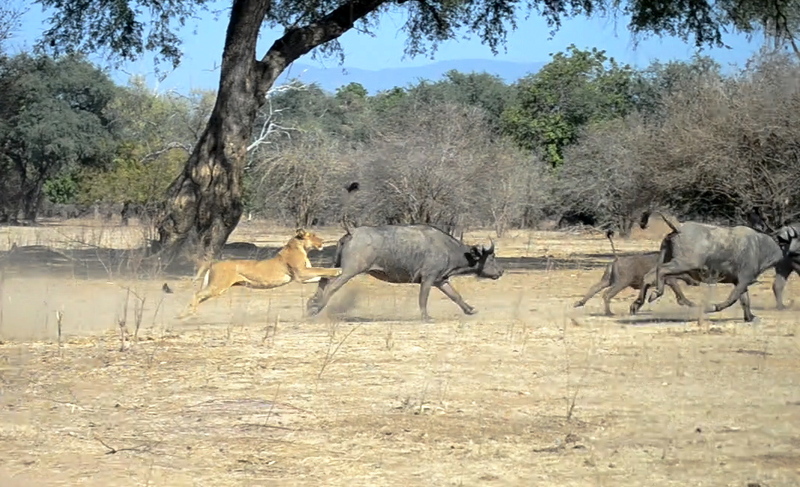 One of the greatest highlights of my trip was actually witnessing a pride of lions attack a herd of buffaloes. I watched as the head lioness began to stalk a group of buffaloes that had separated from the larger herd. Watching the tactics of the cats was suspenseful and intense. It reminded me of military squad tactics, where each lion has a role and a position to uphold. began to counter-attack the cats. The whole scene was incredible. The cats, unsuccessful in their first attack, tried again. However, the herd unity was too impenetrable and the cats, again, were unable to claim a victim. I was constantly switching from video to taking photos- not sure which one would capture the most amount of action. I ended up with a mélange…but thought the photo below turned out well. I have seen scenes like this one take place on television and in movies, but nothing can describe the raw energy and intensity of an event like this in real life. Nature truly is captivating. 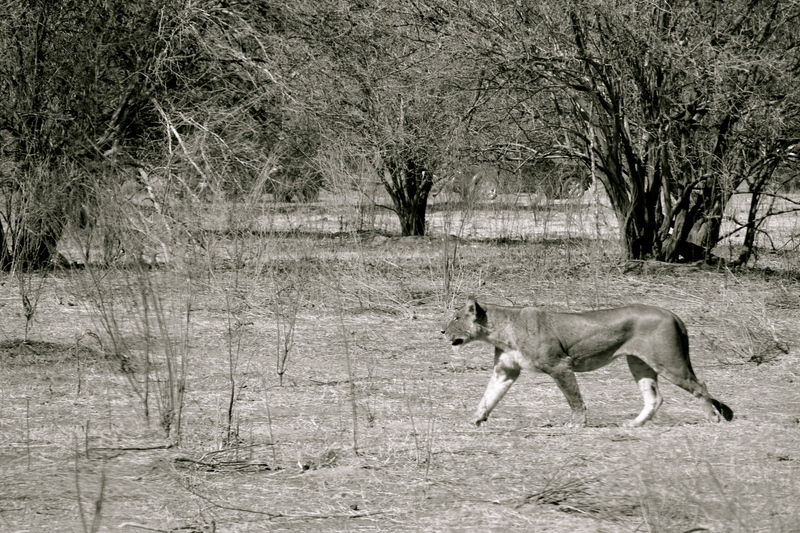 Another highlight of the trip was going on a lion-tracking trek. Unlike most National Parks in Africa, you can actually get out of your car and walk around in Mana. This makes all the difference in the world when it comes to what type of experience you can have, but also elevates the danger you are in. While I would definitely recommend walking around and seeing the sights, I would not venture into the bush alone without an experienced guide equipped with a rifle. We went on our trek with one of our Zimbabwean neighbors, who had years of lion trekking experience. He was also equipped with a rifle, pistol, and knife (the more the merrier I say!). 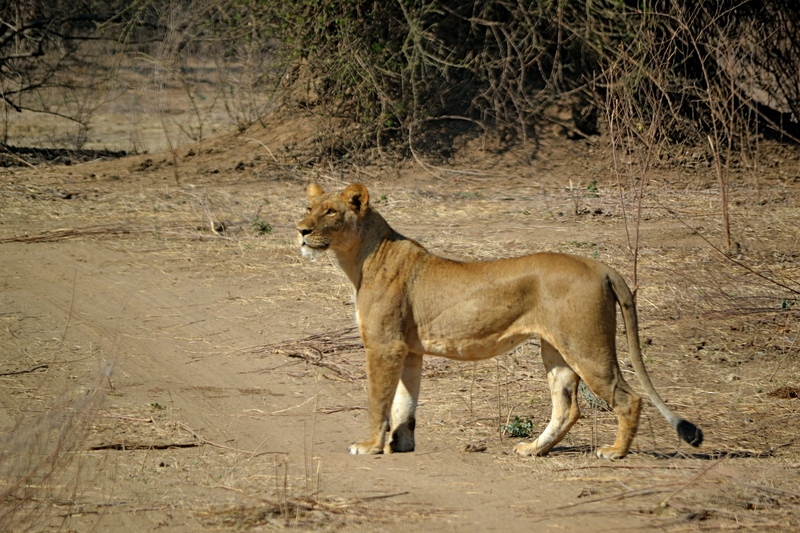 Unfortunately (or maybe fortunately) we did not spot any lions, but the walk was a lot of fun and there is so much to see between the riverbanks and the wide open plains- I could not put my camera down. nightly sessions, I would glance up at the beautiful night sky filled with millions of glittering stars and say a quiet ‘thank you’ under my breath. As I breathed in the chilly night air, I would think about all the incredible places I have journeyed to and the people I had met along the way. Africa is incredible and has captured my heart and my soul. When our eyelids finally began to grow heavy, we would all retire to our tents and snuggle into our sleeping bags, exhausted from the days’ activities but grateful for all the experiences. 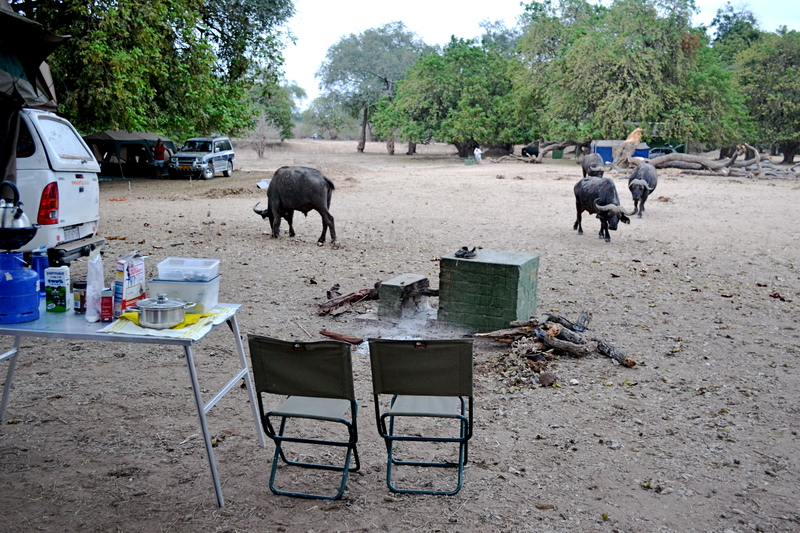 I would hunker down in my bag and listen as the hippos and buffaloes would noisily graze by my tent. Every once and a while the quiet of the night would be broken by the crackle of a hyena or the roaring of the lions across the river. Mana Pools is a special place and I am grateful I spent four days experiencing all that it has to offer. It was the best way possible I could have finished my trip. On the last day, as we packed up the truck, I saw my friend the elephant again. He strolled through the campsite, as he did on our first day, and posted himself at a nearby tree for an afternoon treat. Feeling rather brave, I decided to creep and stand behind a nearby tree in order to get some photos. After I had taken a few shots I quietly backed a way and made my way back to the campsite. 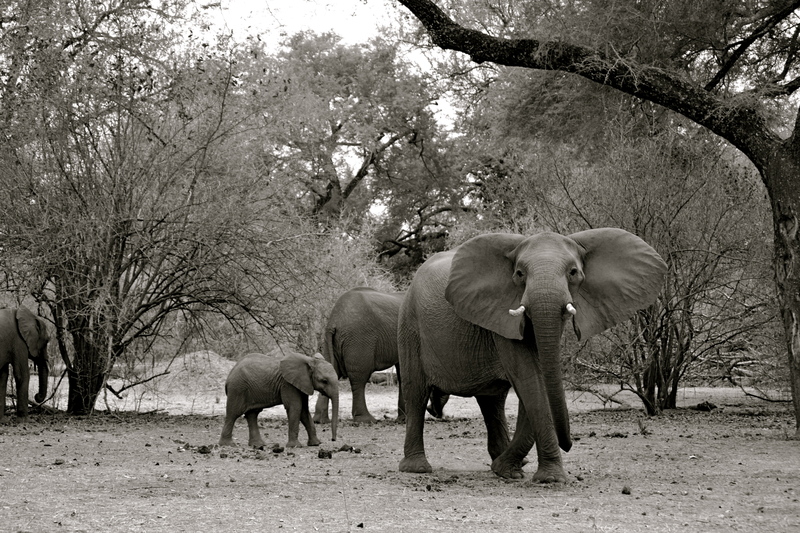 However, as I was walking away the elephant suddenly caught sight of me and whipped around. I froze and we locked eyes. Within the next couple of seconds I racked my brain trying to figure out what advice had been given to me when it comes to elephants. I knew that when it came to lions, the best course of action was to stay perfectly still. However, I couldn’t remember if this was the best thing when it came to elephants. 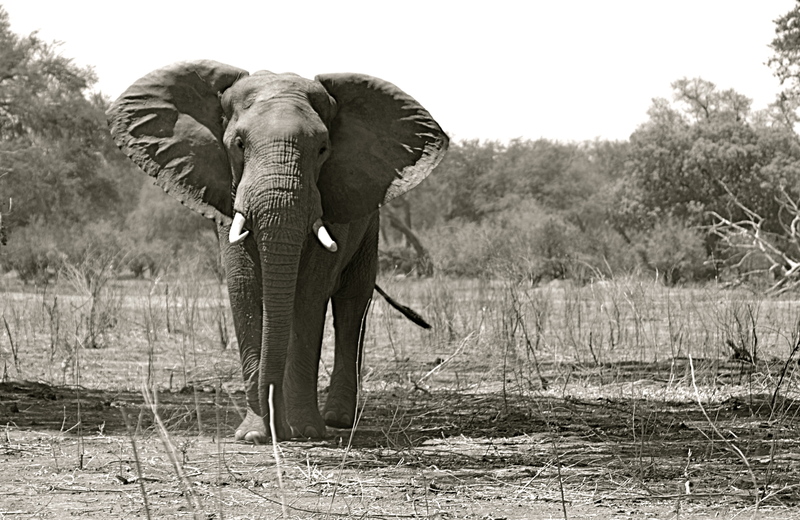 As I was pondering whether to run or stay still, the elephant flapped his ears, trumpeted, and began to charge me. Let’s just say he made up my mind for me and I began to sprint across the campsite, desperately trying to find a place to hide. I saw one lone tree and ran straight towards it, thinking that it would provide me with the necessary cover and concealment. In hind sight, this was a very dumb idea. But at the time, as this massive elephant was running extremely fast towards me, it was the best idea I could come up with. Lucky for me, it was only a mock charge and he finally stopped as I made my way behind the tree. Apparently he figured that he had scared me enough and that I wouldn’t be bothering him anymore. He got that right! I walked back to our truck and realized my entire body was shaking. I started laughing nervously as Gert began to chastise me for being an idiot. Yes, that was probably the worst decision I could have made and I completely underestimated how dangerous elephants really were. So, take it from me when I say stay away from them. Yes, they are amazing but a picture is not really worth your life! 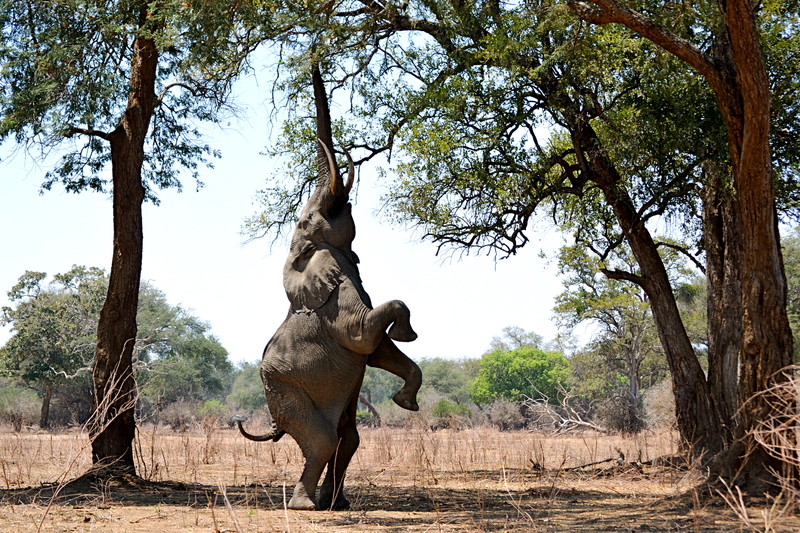 And with that, we loaded the truck and I got as far as I could from the elephant! We spent the next few days traveling back to Johannesburg, via Harare. Gert had to return to lead another tour going from Cape Town to Nairobi (and I thought I traveled a lot!). 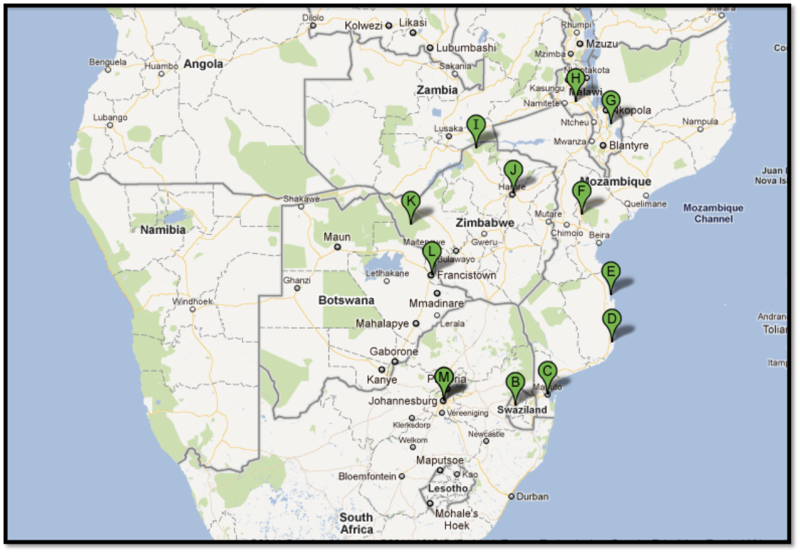 If you are ever interested in taking tours through southern Africa definitely visit his site and send him an email. I certainly could not have made it through all the border posts without him! The entire trip was filled with amazing moments- from watching the cultural dances in Swaziland, to swimming next to whale sharks, to experiencing the beauty of Bazaruto Island in Mozambique, to dealing with the challenges of real Africa, and finally being charged by an elephant in Mana Pools- all of it was incredible and taught me a lot about Africa and traveling. Thank you for sharing this trip with me- I am so glad I decided to start this blog. The next couple of days I will share some stories about Germany and my quick trip to Barcelona. However, I am on my way back to Africa and am looking forward to taking you along with me! So stay tuned and as always, travel well and travel often!! Hello friends! Currently I am sitting in the Paris airport awaiting my flight to Johannesburg, South Africa. If there is one thing I have learned in the past few months, it is to always leave at least a 2 hour layover time when you fly into CDG (Charles De Gaulle Airport). CDG is incredibly big, as most of you know, and sometimes the security lines are endless. I much rather take my time and relax in the terminal rather then run to the terminal. Well people, let me tell you- this trip is going to be epic! I am so excited to be returning to southern Africa. I have an amazing trip lined up and I am really looking forward to having you join me. This epic adventure consists of 27 days and 6 different countries! Best part about it, its going to be one massive road trip. Thats right, one of the best ways to get to know a country and its people is to rent a car and hit the road. You never know who you might meet or stumble upon. I am fairly accustomed to driving in Africa, but have heard that Mozambique and Zimbabwe are… interesting… and road conditions may be less than desirable. In my opinion this is the exciting part! I have rented an SUV with a long distance fuel tank. This is definitely something you want to have when you are in the middle of nowhere Africa and there aren’t many gas stations around. You just never know what my happen and you need to always be prepared. So Im sure you are wondering about the agenda. Well, below annotates my route. I always remain flexible on road trips and always plan for side trips (aka the “might-get-lost” factor.) Here are a couple of things I have learned from my previous driving experiences in Africa: 1.) GPS’s are rare and usually not offered at rental places 2.) For some reason, street names are an afterthought and usually non-existent…making finding locations sometimes near impossible. 3.) Construction is ongoing and most roads change from week to week. 4.) Depending on the city, adherence to rules of the road may not be neccesary and it is a more of a “drive to save your life” type of situation. In any case, it really is an adventure and you must always keep your sense of humor and expect the unexpected. I arrive in Johannesburg tomorrow morning and a friend of mine, who is also going to be my driver/guide, is meeting me at the airport with our vehicle. 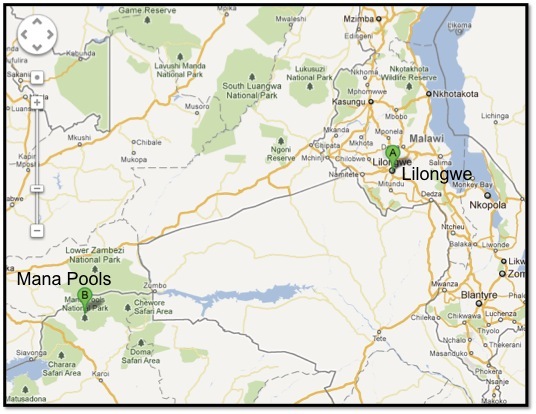 From there, our first stop is Miliwane, Swaziland. Here we will stock up on food and camp for a couple of nights. I will try to find some internet connections along the way and update you on everything happening. Well…here goes a 10 and 1/2 hour flight! Hopefully there will be no babies crying! Talk to you soon! Hello everyone! Well, I just got back from a week long conference in Cape Verde. For those of you who are unfamiliar with this little island country, it is located off the coast of Senegal and Mauritania in West Africa. it is an archipelago comprised of 10 islands. The main language is Portuguese due to the fact that the islands were colonized by the Portuguese in the 15th century. 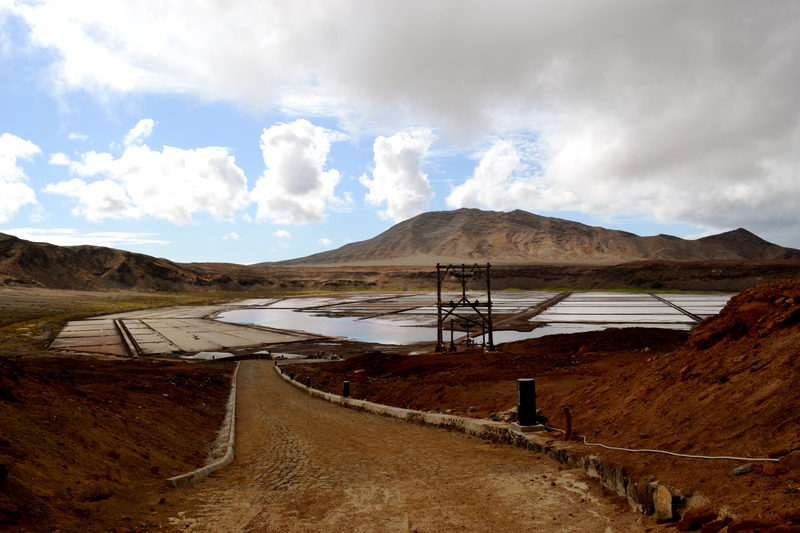 I had the opportunity to visit Sal and Boa Vista- both known for their beautiful beaches and luxurious resorts. 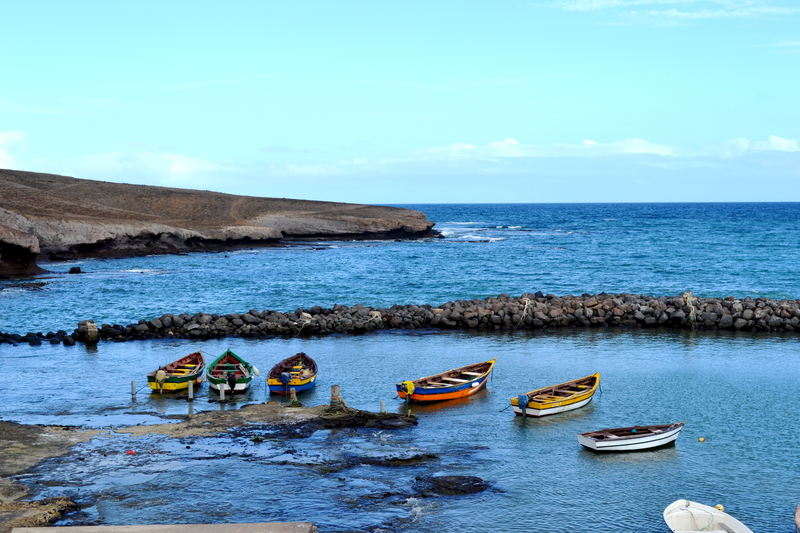 Flights to Boa Vista are limited- and it is difficult to get to this little island. In all, it took me five flights from Stuttgart to fly into Boa Vista, plus a one-night layover. I spent the rest of the week on the island of Boa Vista- which is the main resort destination in Cape Verde. The beaches are incredible and unlike ones I have ever seen. 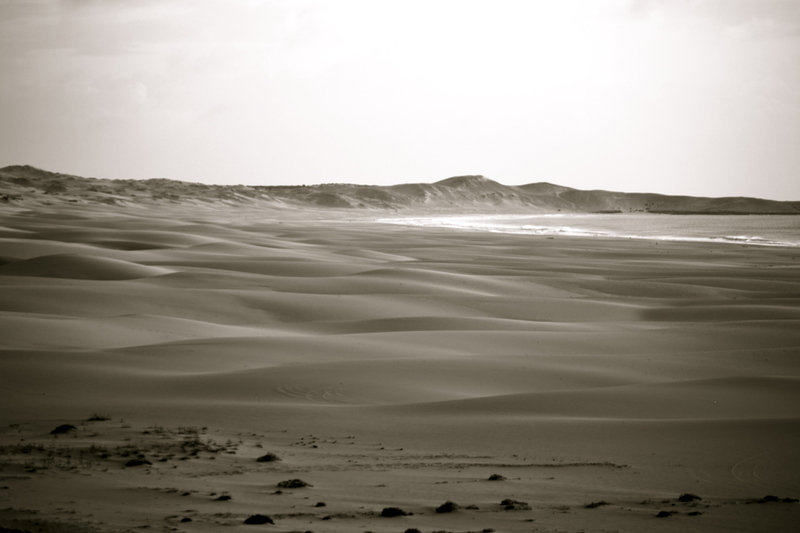 The sandy Viana desert is located along the ocean- a sight very unusual for me. The ocean was pretty warm and there are many water activities available. There are three main resorts and a few smaller hotels. The majority of the resorts are all inclusive and there really is no need to leave them. I am sure they intended it to be this way because on one side of the hotel is the ocean and the other side is the desert, with absolutely nothing to do or see. I imagine families come here because they like the exclusivity of this island. If you are the type of person that loves to lay by the beach or pool all day, then this is the place for you. The locals are very friendly and both Sal and Boa Vista were very safe. I recommend hiring a guide for a day tour of either islands. Renting a car and driving is possible, but it is difficult to find the really interesting places due to limited road and street signs. However, all major roads are paved and it is easy to navigate. Additionally, the Euro is accepted on all the islands- so no need to change anything into the local currency. 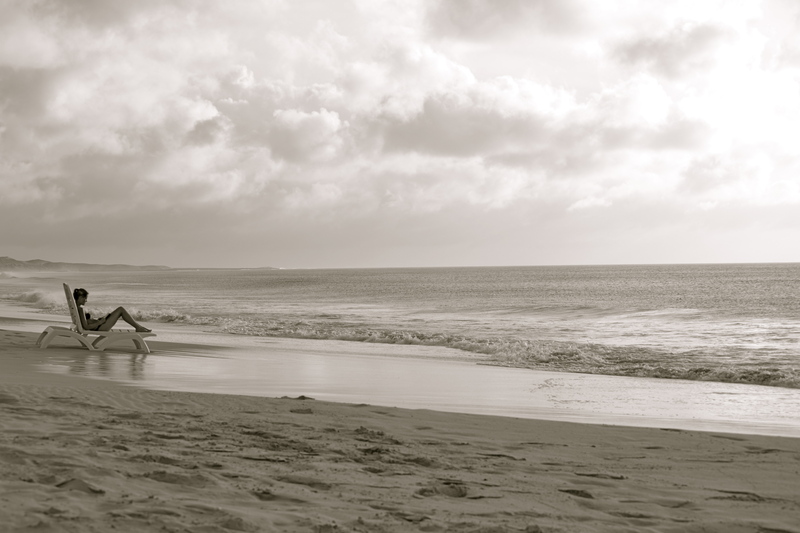 All in all, Cape Verde is a very interesting and friendly place to visit. If you are looking for a truly relaxed getaway, then this might be your place. Again, flights are difficult into Boa Vista but one look at the beaches and you will be glad you took the time to get there. Until next time, travel well and travel often my friends.